Up to a quarter of national climate action plans involve forest carbon projects. New research, however, says that when it comes to monitoring, reporting, and verifying forest carbon, even the world’s most rigorous standard needs to strengthen the auditing process for avoided deforestation projects. 12 November 2017 Before year-end climate talks began in Bonn, Germany last Monday, the United Nations Environmental Program (UNEP) published its 2017 Emissions Gap Report, which warned that existing climate action plans – called “Nationally Determined Reductions” (NDRs) – won’t keep global temperatures from rising 2oC. 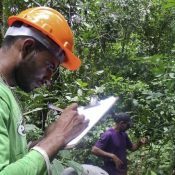 Although emissions in the forestry sector are widely acknowledged to contribute only 10% to global carbon dioxide emissions, projects in this sector contribute disproportionately to developing-country NDRs because they’re often home to tropical forests and have few other emission sources to control. Forest carbon projects (many of which are included in the definition of “REDD+”), also account for another 15 percent of the activities suggested by the UNEP to close the emissions gap. 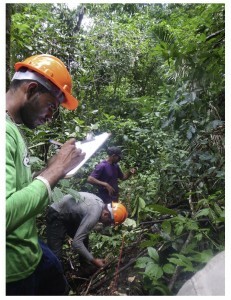 Forest carbon projects will only deliver real results, however, if the auditing processes underpinning them (called “MRV” for Monitoring, Reporting, and Verification) are effective. Our research shows that audit effectiveness varies depending on whether the projects plant trees, improve forest management, or avoid deforestation. To attract the kind of financing that will close the emissions gap, we must improve auditing methods for quantifying carbon stocks in large, naturally-regenerated tropical forests that characterize avoided deforestation projects. Forest carbon projects fall into four activity types: those that avoid imminent, legally-approved forest conversion (Avoided Planned Deforestation, or “APD”); those that avoid unplanned deforestation and degradation (“AUDD”); those that plant trees, shrubs, and woody grasses in non-forested areas (Afforestation/Reforestation/Revegetation, or “A/R/R”); and those that improve forest management in terms of emission reductions (“IFM”) by converting logged to protected forests, for example. To compare the auditing effectiveness among different types, I joined three colleagues (Deane Wang of the University of Vermont, Graeme Auld of Carleton University, and Rosa Maria Roman Cuesta of the Center for International Forestry Research) to look at projects developed and audited under the Verified Carbon Standard (VCS), which is the world’s leading carbon standard in terms of volume, according to Ecosystem Marketplace’s most recent State of Forest Carbon Finance report. Seventy forest carbon projects have passed through the VCS audit process under its current iteration, which is VCS 3.0. Nine of them are ADP projects; 31 are AUDD projects; 19 are A/R/R projects; and 11 are IFM projects. VCS audits involve a two-step process of validation and verification. Specifically, third-party auditors must first validate the project design to ensure the project can produce the anticipated offsets, and then auditors must verify the specific offsets produced. Validation typically occurs only once, while verification occurs approximately every five years for a minimum 30-year project period. We decided that we would use the estimated (ex ante) offset quantities from publically available validation reports as the referent for audit effectiveness. Next, we defined audit effectiveness in a measurable way. We broke the concept into two components. We measured “thoroughness” by collecting the total number of auditor hours worked on the validation and first verification from auditing firms, then regressing those hours against the estimated offset quantities. We measured “impact” by calculating the total offsets approved at first verification (ex post) from the publically available verification reports, then testing for a significant reduction from ex ante estimates. Environmental Services Inc. (ESI) auditors off-camera scrutinize standard operating procedures for carbon stock/emission factor measurement conducted by the inventory crew for an AUD project in Brazil (courtesy: ESI). Our results in terms of thoroughness showed that nearly all project activity types with higher estimated offsets obtained more thorough audits. In other words, larger forest carbon projects were allocated more audit time, perhaps partially due to them having a higher risk of offset inflation (either inadvertent or intentional). Our results in terms of impact were that only A/R/R and IFM forest carbon project types demonstrated statistically significant reductions between ex ante estimated and ex post approved offset quantities. In other words, the estimated offsets were only significantly reduced via first verification audits for A/R/R and IFM projects. However, A/R/R and IFM projects only constituted 5% of offset volume from all 70 projects (likely due to the direct costs of planting and the indirect costs of suspending logging). Forest carbon offsets are calculated on the basis of both activity levels/baselines (typically projected from satellite imagery over time), and also emission factors/carbon stocks (typically calculated from forest inventory plots on the ground). Ex post offset reductions for A/R/R and IFM projects were made primarily on the basis of auditor scrutiny of emission factors. Therefore, we made suggestions to the VCS to improve auditor scrutiny of emission factors for avoided deforestation projects. Our recommendations included: (1) requiring auditors to disclose re-measurement plans in verification reports, with an emphasis on weighting the areas with highest carbon stocks as opposed to the largest or most accessible areas; and (2) requiring project developers to choose the more conservative of two or more applicable allometric equations for emission factor calculation (as opposed to any applicable equations). While reviewing the validation and verification reports, we also developed an extensive table characterizing all 70 projects. Among our findings: although APD and AUDD projects almost entirely occurred in naturally-regenerated tropical forests, over half of A/R/R projects involved fast-growing commercial tree species such as eucalyptus and teak and nearly three-quarters of IFM projects occurred in primarily temperate forest types; AUDD projects, as predicted, had the largest median project area of almost 100,000 HA while other project median areas were between approximately 2,500-7,250 HA; AUDD, A/R/R and IFM projects all involved median approved offsets of 2.6-3.3 tons CO2e/ha/yr, excluding APD projects which front-loaded offsets; only APD projects had a positive median leakage deduction of 12%; median impermanence risk buffers ranged from 10% (A/R/R) to 21% (IFM); and finally the Climate, Community and Biodiversity (CCB) co-benefits/safeguard standard was applied primarily to APD (44%) and AUDD (68%) where project activities such as conversing biodiversity and improving local community welfare overlapped with the objectives of the standard. The VCS MRV system could serve as a model for countries to employ in partnership with the UN to meet NDCs and close additional emission gaps. But auditors have major challenges in accurately assessing carbon stocks on naturally-regenerated tropical forests over large areas. 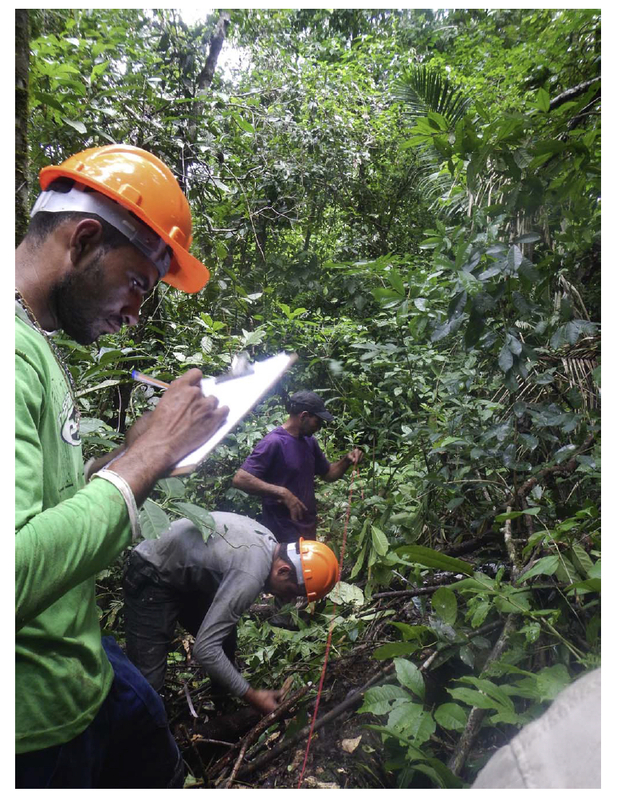 Although the VCS has gone farther than any other institution in providing a standardized and transparent MRV system for auditors to assess avoided deforestation offsets at the project-level, our study suggests that more work is needed. Bryan C. Foster earned his doctorate at the University of Vermont and is a forest carbon consultant.